Rovio's newest game is about what the Finnish developer knows best – birds. Though, they seem decidedly less angry this time in their little downhill race carts. Like it or not, this game is going to be huge. 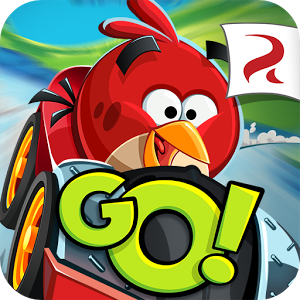 Angry Birds Go is Rovio's first major free-to-play game on Android, so expect to be hit up for cash on occasion (maybe a lot of it). This is a casual racing game built around a variety of quirky downhill tracks. The Angry Birds franchise has thus far been on the lighter side of the free-to-play model - the original game launched free and ad-supported on Android, and later versions added small charges for HD versions and a few in-app bonuses like the Mighty Eagle. 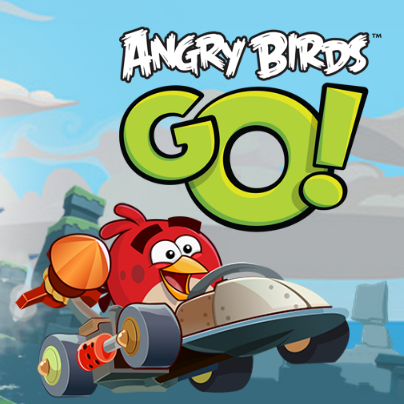 But it looks like Rovio is pulling out all the stops when it comes to the upcoming kart racer, Angry Birds Go. Pocket Gamer reports that gamers in New Zealand (where the game is getting an early launch on iOS) are finding it positively stuffed with in-app purchases. There comes a point in the life of every great gaming franchise where all original gameplay ideas have been exhausted. And right after that point, the developers give up and make a kart racer. 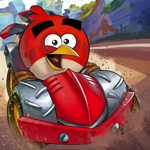 For Rovio's omnipresent Angry Birds, the game is Angry Birds Go, a racing game that travels down the same well-trodden path as Mario Kart and a million also-rans. It comes out December 11th. As cynical as that opening statement is, I have to admit that Angry Birds Go looks like a pretty amazing kart racer.